This book examines the literary, religious, and political aspects of the radical movements and various sects of the English Civil War. Featuring a chapter on John Milton, this book also addresses the legal problems that engaged the early modern radical reformers, the issue of radical religion as a negotiating tool and the limits of radical liberal thought. 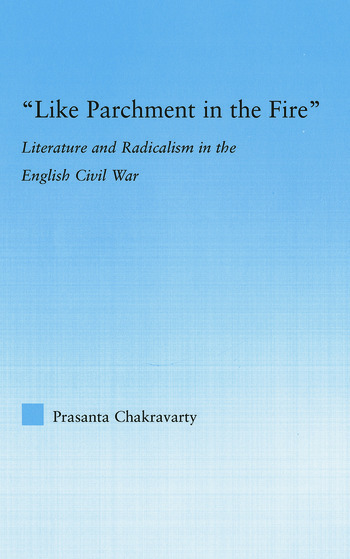 Prasanta Chakravarty was educated at the University of Calcutta and Jadavpur University, India, where he received an MA in English Literature. He took another MA and a PhD in Comparative Literature from the State University of New York at Buffalo. His research focuses on early modern religious and political literature as well as the history of intellectual thought. He is currently Visiting Assistant Professor of English at the University of West Georgia.